Join us for fun, sociable and relaxed drop-in life drawing sessions in a lovely private room above the pub and featuring professional models. 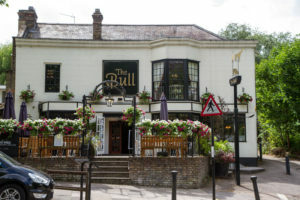 We meet every Tuesday from 7 to 9.30pm upstairs at The Bull Pub on North Hill, just by Hillcrest Estate. Absolutely everyone and all skill levels are welcome and basic materials are provided for free. Anyone who wishes to eat during the break can order food before 7.15pm and we will all be served together at 8pm. Eating at the pub is not mandatory and we always have a great time sitting together, those who do eat and those who only have a drink. We are looking forward to meeting you at our sessions soon!